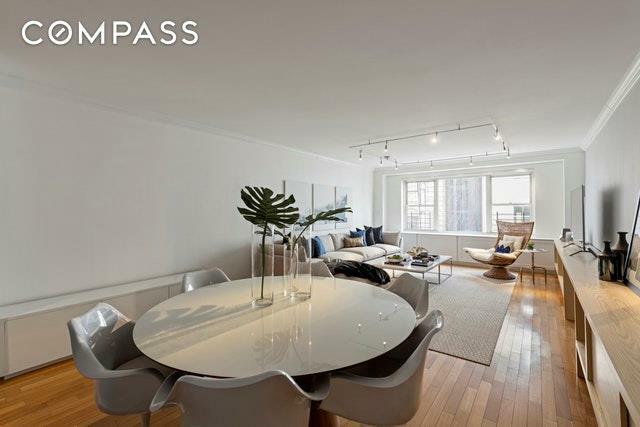 Make your home in this exquisite three-bedroom, three-bathroom cooperative, where the grandeur of Fifth Avenue is highlighted by modern condo-like amenities. Immaculate finishes and a gracious layout define this spacious showplace. The dramatic gallery creates an inviting first impression with gleaming hardwood floors, tall ceilings, stunning millwork and ample closet space. Just ahead, an expansive and sunny great room provides plenty of space for living and dining with classic prewar architecture as your breathtaking backdrop. 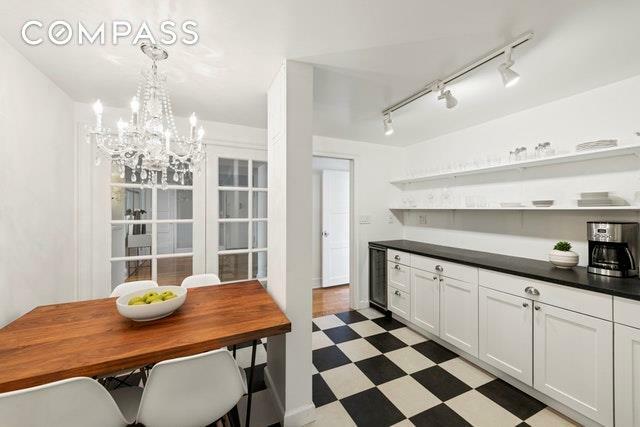 French doors invite you into the chic black-and-white eat-in kitchen where a crystal chandelier illuminates cozy meals and stainless steel appliances, including a dishwasher and wine refrigerator, attend to cooking and entertaining needs. Two complete bedroom suites are situated in a split layout for optimal seclusion. The southern suitefeatures a massive walk-in closet and private bath with a shower, and the north-facing suite includes a wide reach-in closet and a lovely en suite bathroom with tub. The third bedroom is placed directlyoutside the full guest bath. This home's flexible floor plan means that any bedroom is equally well-suited as a study, media room or formal dining room. A laundry room with in-unit washer-dryer addsconvenience, and abundant closets and built-ins easily attend to storage in this well-planned Upper East Side co-op.1025 Fifth Avenue is a postwar cooperative that stretches between East 83rd and 84th streets with abold, canopy entrance on the avenue. Here, residents enjoy the finest amenities, services andsurroundings, beginning with a vast marble lobby and central courtyard. White-glove service includes 24-hour doormen, concierge and elevator operators, and the building features a fitness center, storage, bike room, laundry and on-site parking garage. Maintenances includes cable and utilities. Pets and pieds--terre permitted with board approval. 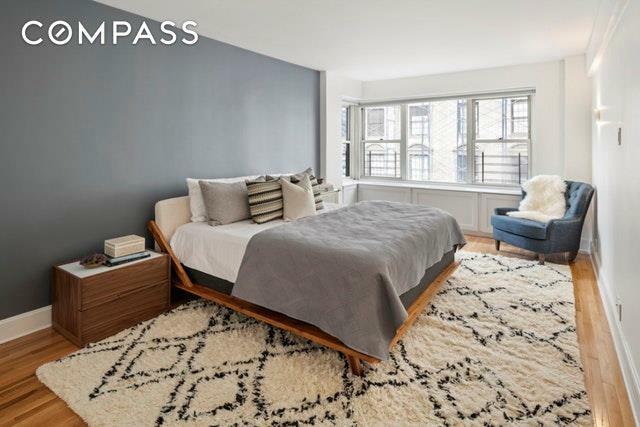 Two percent flip tax paid by purchaser.Located on the Upper East Side's famed Museum Mile, directly across from the Metropolitan Museumof Art, you're surrounded by world-famous art and breathtaking vistas. Start your day in glorious Central Park or shopping along Madison Avenue; visit the Met, the Guggenheim and the Frick; and finish with a nightcap at the Carlyle or Mark hotels. Anything is possible at this prestigious Fifth Avenue address. 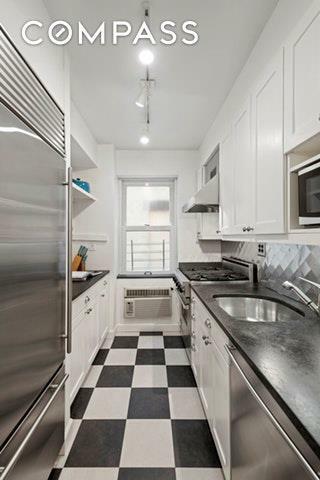 Listing courtesy of Jason Grauerholz of Compass.